This publication reflects a compilation of excerpts from an unpublished broader treatment that recounts the nearly five decades of delicate coexistence between two nations known as the "superpowers" during the international conflict known as the "Cold War." 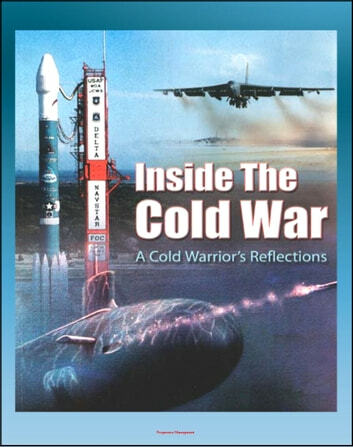 Publication of this text fulfills one of my principal purposes in the original manuscript; that is, to pay tribute to that special breed of American heroes known as the "Cold Warriors"—the men and women who served in the strategic nuclear forces during the Cold War. Another purpose is to provide a brief parallel view of Soviet war fighters. These two opposing groups of warriors served their respective countries faithfully during those critical years of roller coaster politics, inconsistent diplomacy, and occasional lunacy. The Cold Warriors were the centerpiece of that protracted conflict; many paid the supreme price. This text attempts to provide a reasonably comprehensive essay on the Cold Warriors—both American and Soviet—their commitments, their weapon systems, their missions, and their sacrifices. It has been said that war is faceless; the Cold War represents a time when two nations created unprecedented arsenals and stood ready to attack, or be attacked by, the faceless enemy. The United States and the Soviet Union maintained that unprecedented mutual stance over a sustained period of time. There were a series of critical events during this war, including the Berlin Blockade, the invasions of Hungary and Czechoslovakia, the Korean and Cuban crises, and the war in Vietnam. All involved the Cold Warriors in one way or another. They were often called upon to transition from their primary strategic nuclear combat preparation role into totally different mission environments and war-fighting systems. These transitions required retraining and reorientation as well as relocating. Then they returned to their original strategic nuclear mission—which required still more retraining, reorientation, and relocating. From the Foreword: I can think of no one more qualified or prepared to tell the Cold War story than Maj Gen Christopher S. Adams, USAF, Retired. In the trenches as a bomber pilot and missile crew member for most of his career, he was part of that professional group expected to perform flawlessly on every mission, simulator ride, or alert tour. A tough but compassionate leader, Chris was one of the most respected, revered, and effective wing and air division commanders in the history of SAC. His leadership footprints are still visible in the halls of US Strategic Command even today. He has a rare talent for unbiased observation, an uncanny ability to cut through the chaff, and the savvy to tell a gripping story. This book, Inside the Cold War, tells that story, in my view, better than anything published to date.